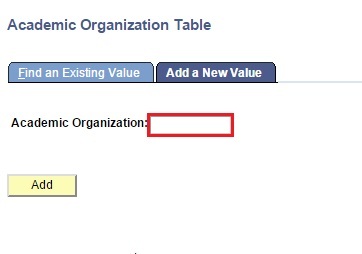 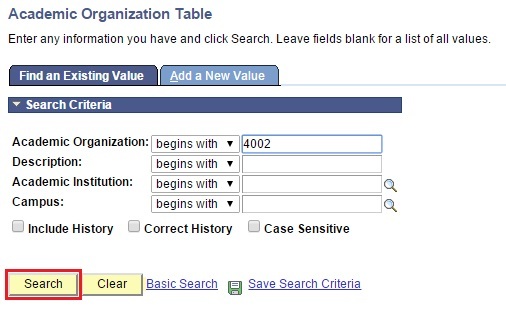 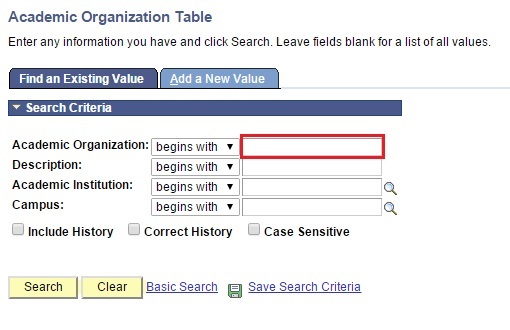 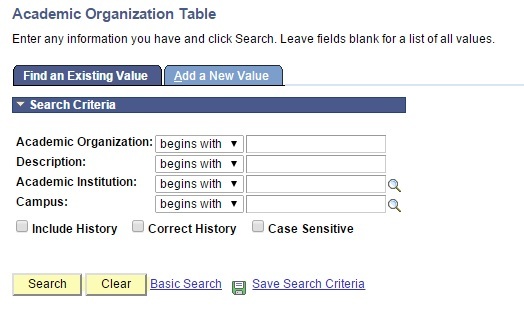 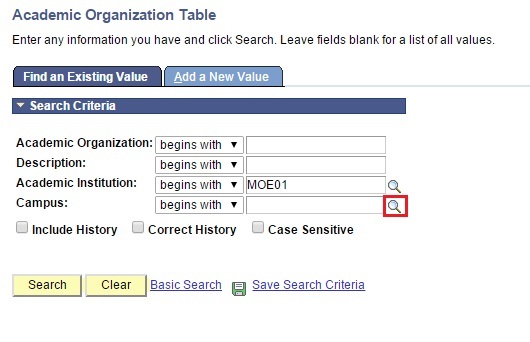 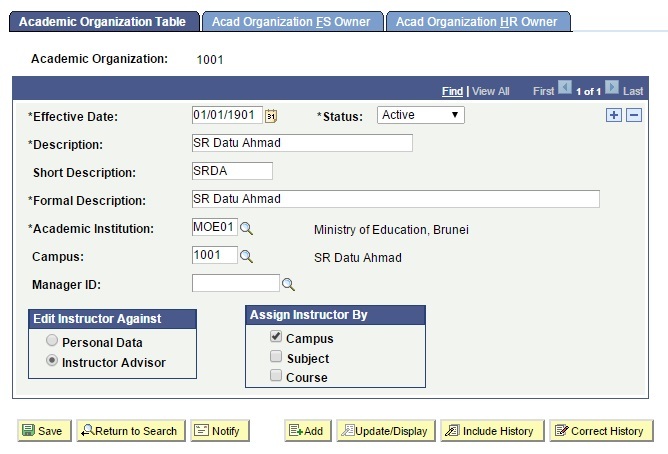 User will be directed to the Academic Organization Table search page. 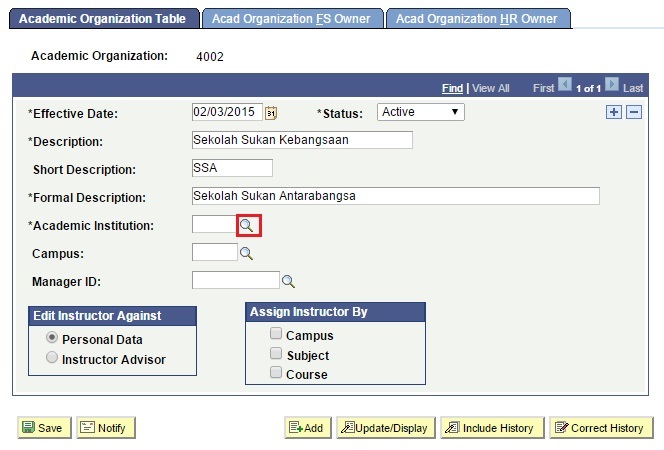 User will be directed to Academic Organization Table page. User will be directed to Add a New Value page. Enter the Short Description which is the first letter of the school. 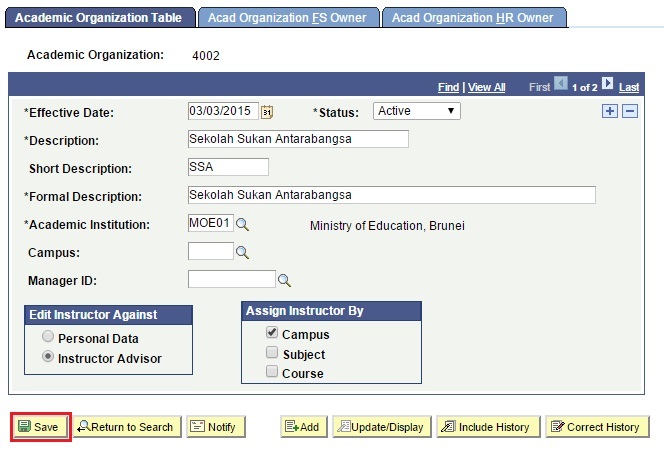 Enter the Formal Description which is the full name of school. 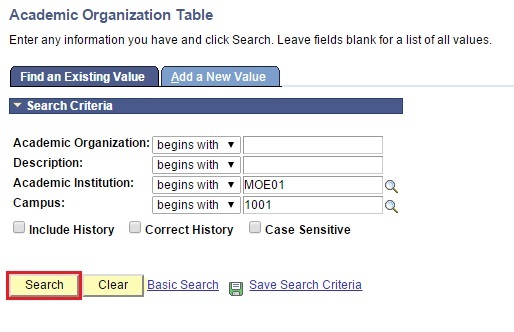 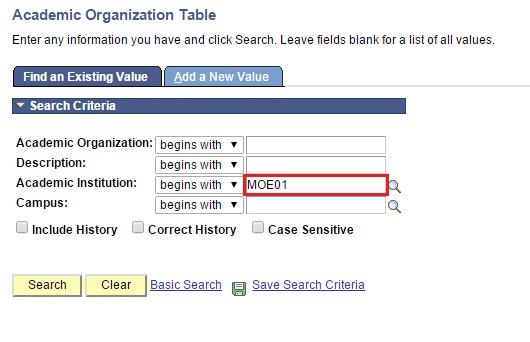 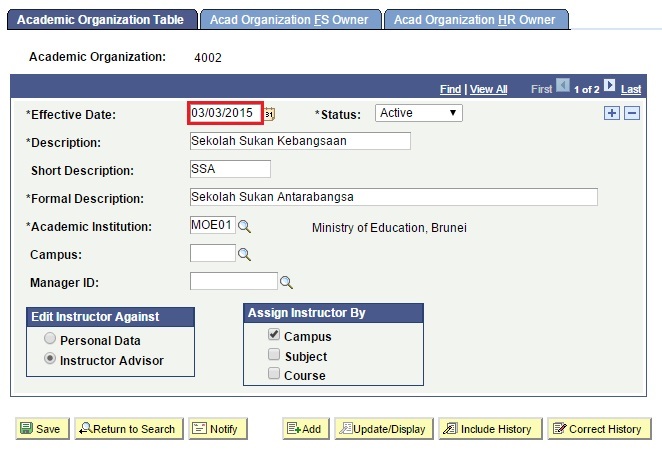 Click on the lookup button and select the Academic Institution as MOE01. If academic organization is a department then Campus should be left blank. 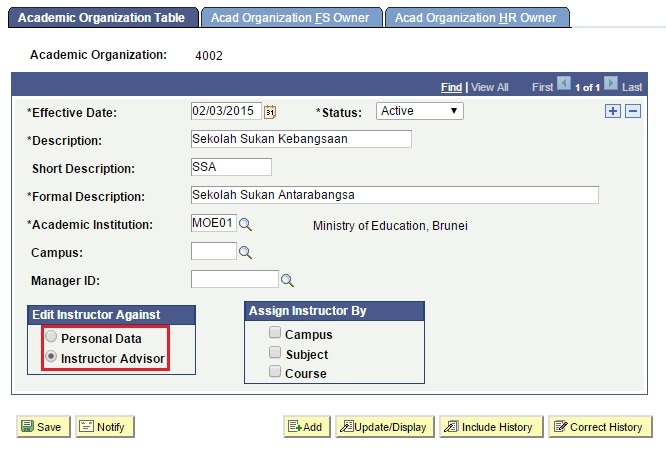 Select the Edit Instructor Against as Instructor Advisor. 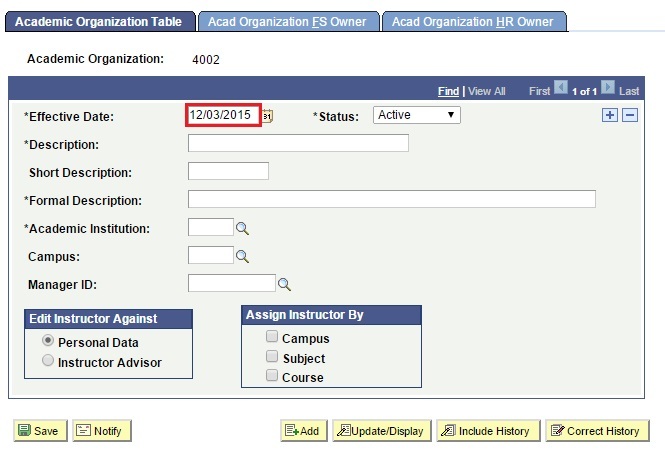 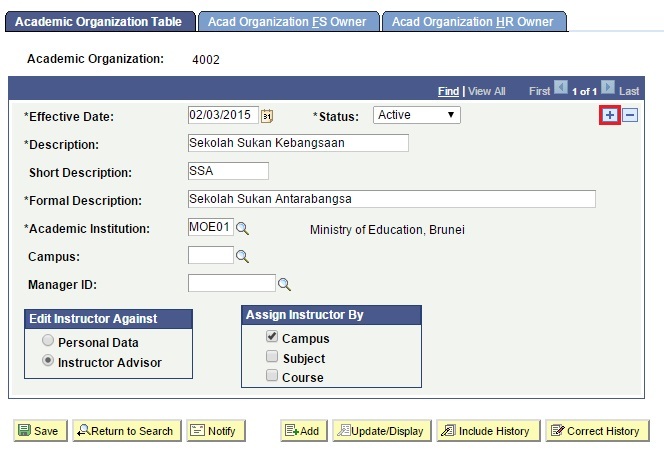 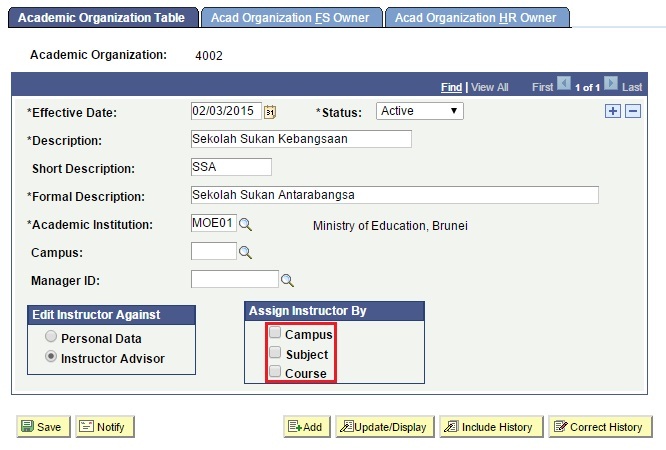 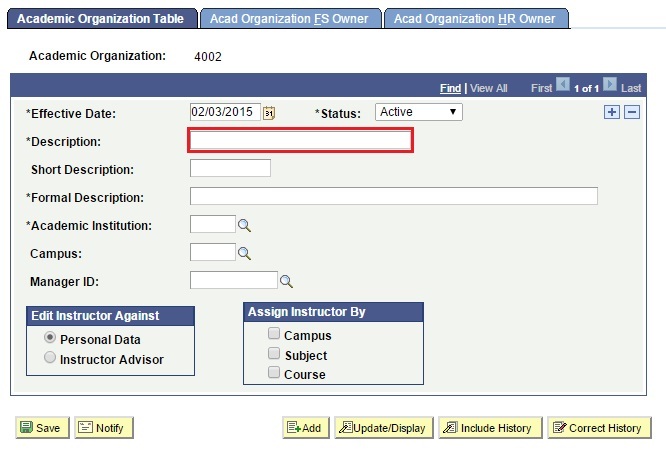 Select the Assign Instructor By as Campus.